Android phone is quite popular along the world. Its easy access to SD card lets Android users transfer songs, photos and videos to it anytime. However, there is still one thing that makes them a little frustrated, that is, they can’t manage contacts and messages on the Android phone from the computer, just like they manage the media files. Don’t worry. There’re many Android managers which can help Android users to make Android manager easier. Among them, the Wondershare MobileGo for Android stands out. 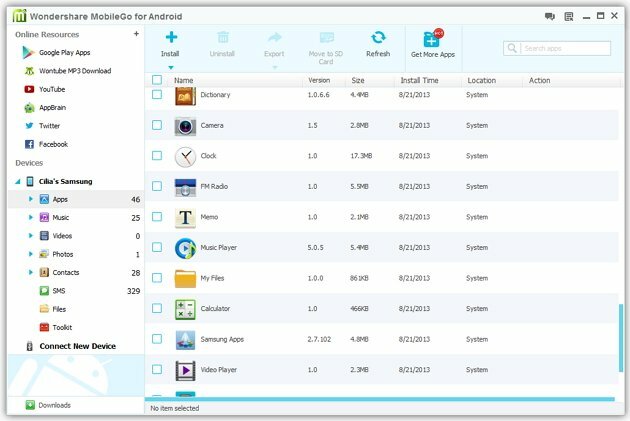 It’s designed as an all-in-one desktop Android manager for managing everything from the computer, priced at $39.95. 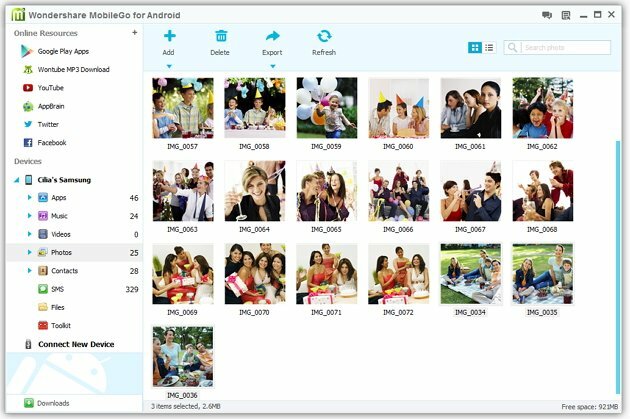 The Wondershare MobileGo for Android not only manages contacts, text messages, apps, music, videos and photos on the Android phone, but also offers the backup and recovery function. Additionally, it provides Android users with easy access to the Android phone memory card and SD card, which lets them find any file they want. It even has a built-in online resource center from which Android users can collect their favorite websites to it and download apps, songs and videos easily. Below are its salient features. Now, check out. Android users can download the Wondershare MobileGo for Android from its main page. The package is only 26.8MB. Then, install and run it on the Windows computer. Android users can connect their Android phones to the computer with a USB cable or over WiFi. The Wondershare MobileGo for Android detects the Android phone and automatically install the must-have MobileGo app on my Android phone too. After that, the Android phone shows up in the primary window, and all files are categorized in the left sidebar. The primary window is very brief and smart. The Online resource is located at the top left corner. Under it is the Android phone and the files on it. On the right panel is the image of my Android phone. Under the Android phone is Tools you may like where some key features are listed. 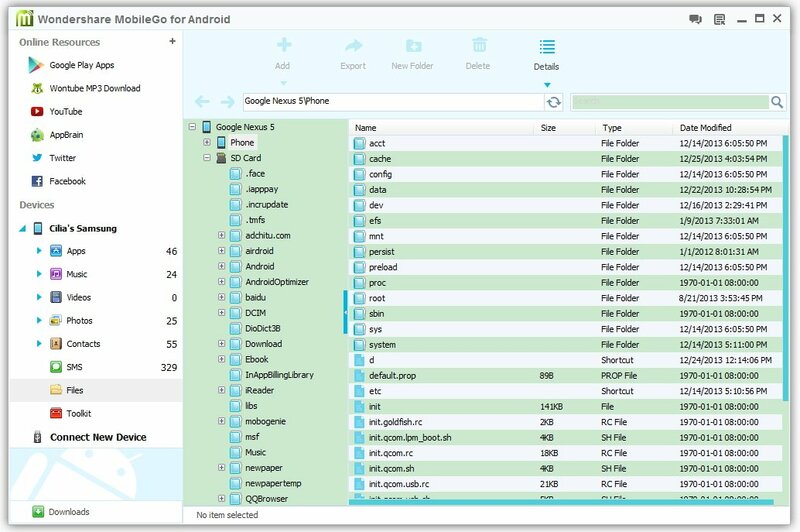 The Wondershare MobileGo for Android allows Android users to view all apps on the Android phone, install, uninstall or export apps. By clicking Google Play Apps from the Online resource, Android users can download their favorite apps to their Android phones. The other feature which makes the Android manger amazing is that it allows users to share apps with others via Facebook, Twitter and SMS. Many Android users feel it difficult to manage contacts and SMS. Now, they don’t have to. 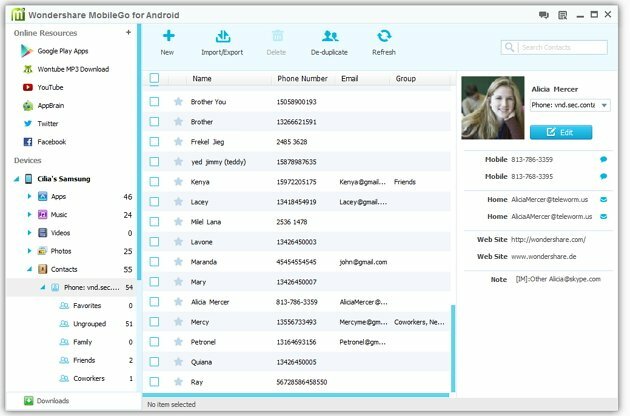 With the Wondershare MobileGo for Android, Andorid users can import contacts from computer, Outlook, Windows Address Book and more to their Android phone easily and the other way around. It even helps Andoid users to merge the duplicate contacts. Tired of editing text messages on a small Android screen? 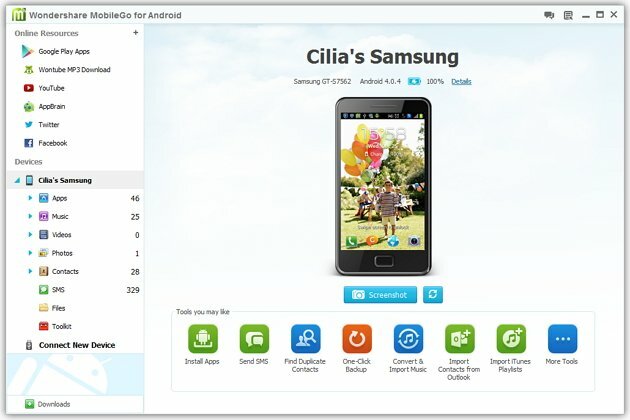 The Wondershare MobileGo for Android lets Android users directly send and receive text messages from the computer easily and conveniently. With the Wondershare MobileGo for Android, Android users can drag and drop music, video and photos to and from their Android phone effortlessly. If the Android manager detects the imported music and videos can’t be played on their Android phone, it will convert them to Android optimized formats – MP3 & MP4. Click the File tab in the left sidebar. All files and folders on both Android phone memory card and SD card are there. The phone memory mainly can be previewed. But Android users can import documents to SD card easily, and vice versa. It’s more like a feature resource page. The Toolkit window is divided into 4 sections. The first section is to help you backup and restore data. 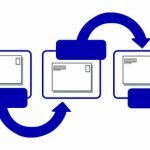 The second section offers a function of contacts and SMS management. The third section is about the music conversion and transfer. The fourth section recommends a phone transfer tool to help you transfer contacts, SMS, music between Android phone, Nokia (Symbian) phone and iDevice. Manage the Android phone wirelessly or via USB cable. 4. App downloading may fail on some occasions. In all, the Wondershare MobileGo for Android is an all-in-one and trustworthy Android manager. 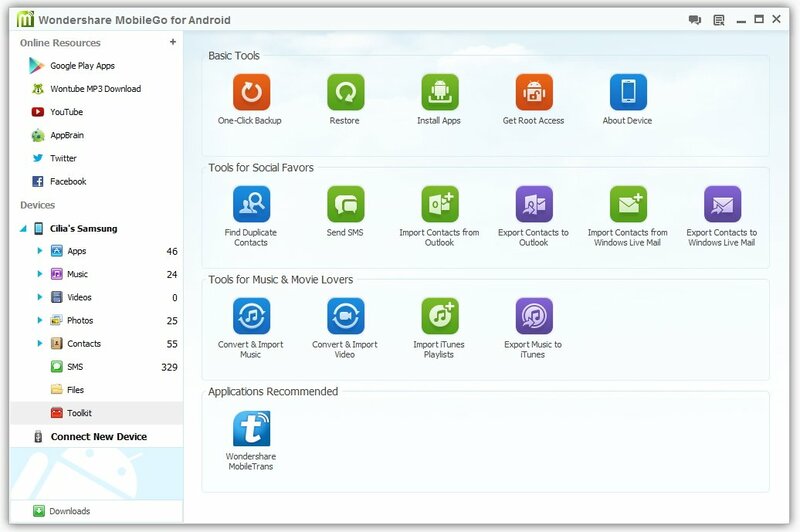 It meets almost all users’ needs to make Android management easy, simple and convenient. However, its price seems a little higher for Android users. Anyway, experience tells the truth. Just download the Wondershare MobileGo for Android to have a try and see whether the Android manager is worth the price.